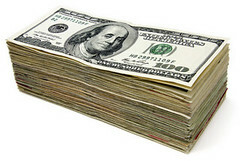 Posted byMichael Harley	 October 9, 2012 1 Comment on How do you manage your personal finances? I asked today on Twitter how people manage their personal finances. I got a couple responses of “Mint”. I use Microsoft Money but since so many people seem to use Mint, I often think that perhaps I’m doing something wrong or I’m thinking about finances wrong. Here is my process… feel free to chime in at the end. I don’t use a monthly budget. I find that the idea of a monthly budget is just too vague and isn’t useful from a cash flow perspective. So if I have $200 budgeted for donuts in October, what happens if I blow my $200 budget in the first week of October and now my rent check bounces? I like to look at personal finances at a more detailed level. If I make $1000 this payday, I want to know how much I owe in bills before next payday to make sure I can buy donuts. I also want to know how much is coming out next payday so I can know how much, if any, of this paycheck to save. As far as I can tell, you can’t look ahead like that with Mint. Mint doesn’t have any sort of automatic reminders that are auto entered into your check register nor do they have any sort of cash flow projections based on said reminders. Every payday, $182.50 gets transferred from our “main” checking account over to the bill account automatically and all of those bills are paid automatically with bill pay on their due dates. This helps me to easily keep up with it. If every payday I get paid $1000, I pay $100 on the gas/grocery CC and $182.50 goes to the “bill” account then that avoids having a lean pay period and a rich pay period as the expenses on the main account are almost always the same from paycheck to paycheck. I think maybe everybody has a lot more money than I so they don’t have to think in terms of short term cash flow. So how do you manage your personal finances? $200 a month on doughnuts is a lot of freakin’ doughnuts. But seriously…my method seems a little more straight forward but i don’t want to spend the 10 minutes typing it out. so call me.